In Rizal’s time, seldom would one see a highly educated woman of fine culture like Doña Teodora who had the capacity to teach Spanish, reading, poetry, and values through rare story books. Under her supervision, Rizal had thus learned the alphabet and the prayers at the age of three. Aside from his mother, his sister Saturnina and three maternal uncles also mentored him. His uncle Jose Alberto taught him painting, sketching, and sculpture. Uncle Gregorio influenced him to further love reading. Uncle Manuel, for his part, developed Rizal’s physical skills in martial arts like wrestling. ”A little, sir,” replied Rizal. Because of this, his classmates, especially the teacher’s son Pedro, laughed at the newcomer. So later in that day, Jose challenged the bully Pedro to a fight. Having learned wrestling from his Uncle Manuel, the younger and smaller Jose had defeated his tormenter. Compared to bullying victims today, we can say that Rizal did not wait for anyone to enact a law against bullying, but rather took matters into his own hands. After the class however, he had an arm-wrestling match with his classmate Andres Salandanan in which Jose lost and even almost cracked his head on the sidewalk. That only proves that merely being a ‘desperado’ won’t make you win all your fights. In the following days, Jose was said to have had other fights with Biñan boys. (If his average was two fights per day, as what happened during his first day in Biñan school, then he might have been more active than today’s MMA [mixed martial arts] fighters). For his scuffles, he nonetheless received many whippings and blows on the open palm from his disciplinarian teacher. Rizal may have not won all his brawls but he nevertheless beat all Biñan boys academically in Spanish, Latin, and other subjects. There’s a claim that from Biñan school, Rizal studied in Colegio de San Juan de Letran. The story states that after attending his classes for almost three months in Letran, Jose was asked by the Dominican friars to look for another school due to his radical and bold questions. However, standard biographies agree that Rizal just took the entrance examination in that institution but Don Francisco sent him to enroll instead in Ateneo Municipal in June 1872. Run by the Jesuit congregation (Society of Jesus), Ateneo upheld religious instruction, advanced education, rigid discipline, physical culture, and cultivation of the arts, like music, drawing, and painting. Ironically, this school which is now the archrival of La Salle in being exclusively luxurious, among others, was formerly the ‘Escuela Pia’ (Charity School)—a school for poor boys in Manila established by the city government in 1817. Paciano found Jose a boarding house in Intramuros but he later transferred to the house of a spinster situated on Calle Carballo in Santa Cruz area. There he became acquainted with various mestizos that were said to be begotten by friars. (Jose perhaps had not thought twice to befriend them, believing that they were probably nice people—for after all, they were ‘mga anak ng pari’ [children of priests]). To encourage healthy competitions, classes in Ateneo were divided into two groups which constantly competed against each other. One group, named the Roman Empire, comprised the interns (boarders) while the other one, the Carthaginian Empire, consisted of the externs (non-boarders). Within an empire, members were also in continuous competition as they vied for the top ranks called dignitaries— Emperor, being the highest position, followed by Tribune, Decurion, Centurion, and Standard-Bearer, respectively. Initially placed at the tail of the class as a newcomer, Jose was soon continually promoted—that just after a month, he had become an Emperor, receiving a religious picture as a prize. When the term ended, he attained the mark of ‘excellent’ in all the subjects and in the examinations. The second year, Jose transferred residence to No. 6 Calle Magallanes and he obtained a medal at the end of that academic term. In the third year, he won prizes in the quarterly examinations. The following year, his parents placed him as intern (boarding student) in the school and stayed there until his graduation. At the end of the school year, he garnered five medals, with which he said he could somewhat repay his father for his sacrifices. On March 23, 1877, he received the Bachelor of Arts degree, graduating as one of the nine students in his class declared ‘sobresaliente’ or outstanding. Some of his priest-professors in Ateneo were Jose Bech, a man with mood swings and somewhat of a lunatic and of an uneven humor; Francisco de Paula Sanchez, an upright, earnest, and caring teacher whom Rizal considered his best professor; Jose Vilaclara; and a certain Mineves. At the Ateneo, Rizal cultivated his talent in poetry, applied himself regularly to gymnastics, and devoted time to painting and sculpture. Don Augustin Saez, another professor, thoughtfully guided him in drawing and painting, and the Filipino Romualdo de Jesus lovingly instructed him in sculpture. In 1877, Rizal enrolled in the University of Santo Tomas, taking the course on Philosophy in Letters. At the same time, he took in Ateneo a land surveyor and assessor's degree (expert surveyor), a vocational course. He finished his surveyor's training in 1877, passed the licensing exam in May 1878, though the license was granted to him only in 1881 when he reached the age of majority. After a year in UST, Jose changed course and enrolled in medicine to be able to cure the deteriorating eyesight of his mother. But being tired of the discrimination by the Dominican professors to Filipino students, he stopped attending classes at UST in 1882. It’s worthwhile to note that Rizal’s another reason for not completing medicine in UST was that the method of instruction was obsolete and repressive. Rizal’s observation perhaps had served as a challenge for UST to improve in its mode of instructions. If records were accurate, Rizal had taken a total of 19 subjects in UST and finished them with varied grades, ranging from excellent to fair. Notably, he got ‘excellent’ in all his subjects in the Philosophy course. On May 3, 1882, he left for Spain and enrolled in Medicine and Philosophy and Letters at the Universidad Central de Madrid on November 3. In some days of November 1884, Rizal was involved in the chaotic student demonstrations by the Central University students in which many were wounded, hit by cane, arrested, and imprisoned. The protest rallies started after Dr. Miguel Morayta had been excommunicated by bishops for delivering a liberal speech, proclaiming the freedom of science and the teacher, at the opening ceremony of the academic year. Incidentally, the street in Manila named after Morayta (Nicanor Reyes Street today) has always been affected by, if not itself the venue of, student demonstrations. In June of 1884, Rizal received the degree of Licentiate in Medicine at the age of 23. His rating though was just ‘fair’ for it was affected by the ‘low’ grades he got from UST. The next school year (1884-1885), he took and completed the three additional subjects leading to the Doctor of Medicine degree. He was not awarded the Doctor’s diploma though for failing to pay the fee and the required thesis. Exactly on his 24th birthday, the Madrid university awarded him the degree of Licentiate in Philosophy and Letters with the grade of excellent (‘sobresaliente’). We can thus argue that Rizal was better as a ‘philosopher’ than a physician. 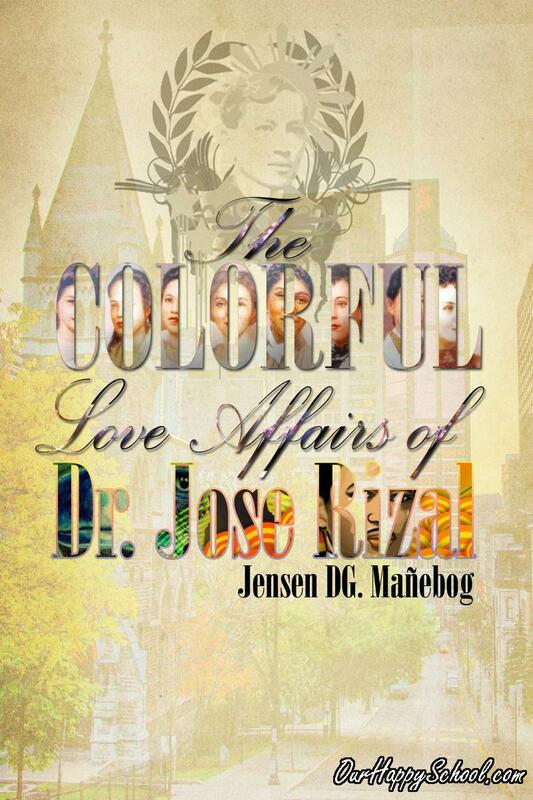 Wanting to cure his mother's advancing blindness, Rizal went to Paris. He was said to have attended medical lectures at the University of Paris. From November 1885 to February 1886, he worked as an assistant to Dr. Louis de Weckert. Through this leading French ophthalmologist, Rizal was thankful that he learned how to perform all the ophthalmological operations. In February 3, 1886, Rizal arrived in Heidelberg, Germany. He attended the lectures of Dr. Otto Becker and Prof. Wilhelm Kuehne at the University of Heidelberg. He also worked at the University Eye Hospital under the guidance of Dr. Becker. Under the direction of this renowned German ophthalmologist, Rizal had learned to use the then newly invented ophthalmoscope (invented by Hermann von Helmholtz) which he later used to operate on his mother’s eye. In Heidelberg, the 25-year-old Rizal completed his eye specialization. Afterward, Rizal spent three months in the nearby village, Wilhemsfeld where he wrote the last few chapters of ‘Noli Me Tangere’. He stayed at the pastoral house of a kind Protestant pastor, Dr. Karl Ullmer, the whole family of whom became Rizal’s good friends. In August 1886, he attended lectures on history and psychology at the University of Leipzig. In November 1886, he reached Berlin, the famous city where he worked as an assistant in Dr. Schweigger’s clinic and attended lectures in the University of Berlin. In Berlin, he was inducted as a member of the Berlin’s ‘Ethnological Society’, ‘Anthropological Society’, and ‘Geographical Society’. In April 1887, he was invited to deliver an address in German before the ‘Ethnographic Society’ of Berlin on the orthography and structure of the Tagalog language. In Germany, Rizal met and befriended the famous academicians and scholars at the time. Among them were Prof. Friedrich Ratzel, German historian; Dr. Hanz Meyer, German Anthropologist; Dr. Feodor Jagor, the author of ‘Travels in the Philippines’ which Rizal had read as a student in Manila; Dr. Rudolf Virchow, German anthropologist; and Rudolf’s son, Dr. Hans Virchow, Descriptive Anatomy professor. Especially after the hero’s martyrdom, these people who were the renowned personalities in the academe not only in Germany but also in Europe were so proud that once in their life they had known the educated and great Filipino named Jose Rizal. Invite at least three college graduate friends or relatives to leave in the comment section an advice about finishing a course. Print your comment and your friends/relatives’ advices. Submit the print out to your professor. In his sayings, I can tell that Rizal really does value the education and he even tells it to Trinidad for her to study than to waste such precious time. Truly it is right that Dr. Jose Rizal gives a big importance on education. Like what he said, "Ang kabataan ang pag-asa ng bayan". All the youth that took their education will be the hope of the community and of the country. It is important to us to have an education, the only treasure that our parents can bequeath to us. Let's all give value to our Education. I can tell that Jose Rizal was very strict about education. He also said that it is a pity that you allow yourself to be dominated by laziness. In short, Rizal wanted Trinidad to study hard and read attentively than wasting her time in nonsense things. In his advice, we can see the important of education for him. The moral value in his advice was: "don't waste your time, time is gold". Dr.Jose Rizal's advice to his sister was very meaningful to him, because he shows how he love and how important education is. Jose Rizal did a great thing in inspiring his sister to study beacuse he knew that education can bring her sister a good lfe and the time can never bring back so don't waste time. As a graduate student, I can say that education can change your life in a good way so if there's an opportunity grab it. Jose Rizal truly love education. He want his sister to study rather than wasting time in a nonesense thing because he knew that wasting time will not help you. Jose Rizal wants his sister to study than wasting time because he knew that if a person is educated, he or she will have a good future. MY ADVICE TO REGIE VERA: Just study hard and don't forget God,just keep praying. GOD BLESS. In his advice to his sister, we could say that J.Rizal loves his sister very much that he try to motivate her to learn. Maiaadvice ko lang kay regie, Mag-aral lang ng mabuti yan ang susi at magdedecide kung magiging cno ka sa future. Rizal say that we should study while we were young because if we are educated people we can help our family and country. My advice for Mark, you need to study harder than you think, put away all the things that are distracting you, devote so much effort on how you'll pass your subjects, pray to God, believe and trust yourself. Advice kay regie Vera. As a graduate student maiaadvice ko lang na laging magsipag wag tatamadtamad sa pag-aaral dahil sa huli ito rin ang iyong maituturing na greatest achievement mo sa buong buhay mo. Just focus on what you want to achieve and just enjoy the course you had chosen. First of all you must have a great passion and interest in the course you had chosen, coz you may be burden and encounter difficulties along your journey. You should exert too much effort in studying cause the only way to success is to work hard. In his advice to his sister, we could truly say that J.Rizal loves sister very much that he try to motivate his sister to learn and read. On Jose Rizal's advice to his sister Trinidad, you can see how important education is to our national hero that he want his sister to study until she is young so that she will have a plenty of time to have a good education. Dr. Jose Rizal shows the importance of education. We should study harder and focus to what we want to achieve. edukasyon ang iyong pundasyon para sa iyong matatayog na pangarap sa buhay kaya study well. Jose Rizal's advice was so meaningful, he values education so much that he wants us to educate and learn more by reading educational books because education is the one that no one can steal from us and it can make our life better to contribute for the country's development. Advice to Evan Bituya, you need to focus and study harder to achieve your goals. Believe in yourself and always pray to God. Being Educated is the most treasure of anyone . Our National Hero Jose Rizal knows that being an educated people bring you to a Successful Life. And Studying, being a habbit is the way how to learned something, know other infomation to think deeply in what's happening in our Sorroundings . For Short Not to be :"Mangmang". Mag-aral ng mabuti at iwasan ang mga bisyo dahil ito ay maaaring makasira sa iyong pag-aaral. Tiwala lang at hardwork syempre. Kaya mo yan ikaw pa! In his advice to her sister Trinidad, we can see that Jose Rizal valued most the education because we can see that he's motivating his sister to have an interest to her study. From what he say to Trinidad, I cqn imply that rizal really value the importance of education. It also says that he also believes that learning always start from reading. you should choose a course that you really like. This is a big factor. To be good in it, you should really know it. study hard while you are given the opportunity to, others are not given the chance like you. Cherish what you have. What i have learned during my college days that I can share to you is that, finishing a course is not easy. as a sayings goes "there is no easy thing in this world". Also, studying hard isn't efficient. Don't study hard, just study well! Advice to my brother, just enjoy the course that you choose and always study hard for your future.God is always there for support you, just to your best. Advice to my brother, just study and don't pressure yourself. We were here to support you and God also support you also. Edukasyon ang magiging iyong pundasyon sa matatayog mong pangarap kaya study well. Advice to my nephew, Enjoy your study, set your goal for your future and always think positive. Just remember that we were here to achieve your goal. Always study smart and don't be rule by laziness. You should always do your assignment and have some advanced reading to your lessons. Work hard and always give your best shot. Study hard for you to have a title in your future. tandaan mong edukasyon ang tanging bagay na hindi mananakaw ninuman. My advice to you is that you study hard, reach for your goal, and make your dreams come true by finishing your studies and become a professional engineer in the near future. 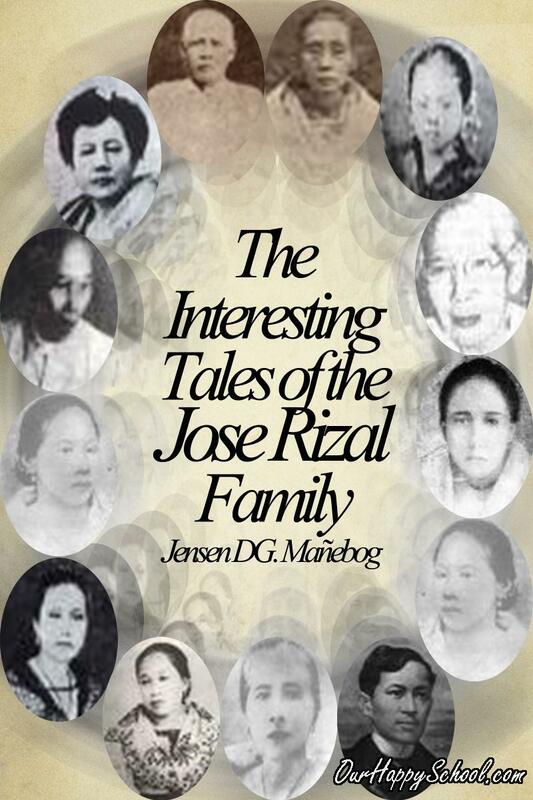 We can see that Jose Rizal want his sister to study is to let her see that study is the key to success . 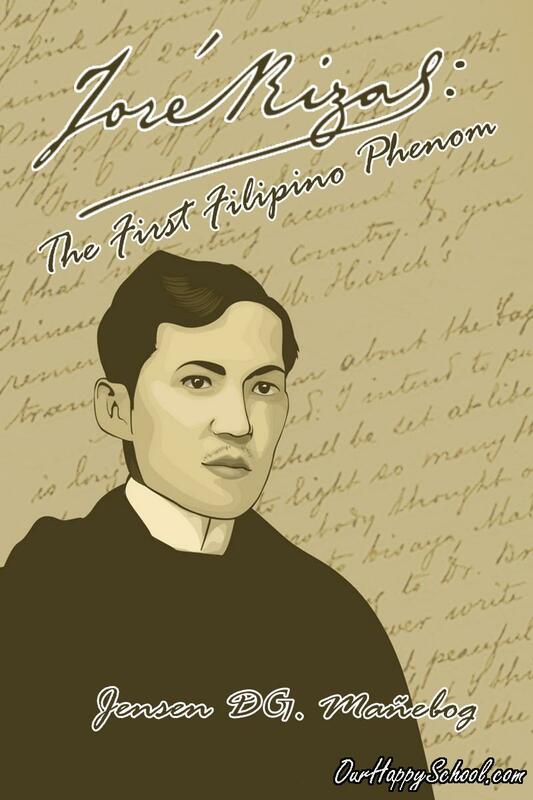 We can conclude that for our hero Jose Rizal the education is so important for him. Ang maiAadvice ko sa aking anak na si John Emmanuel ay pagbutihan mo pa ang iyong pagAaral dahil yan ang aming maipapamana sa iyo ng iyong nanay na hindi maagaw ng sinuman. Hangga't maari magsulat ka pagtapos magturo o kaya naman mag take down ka pag hindi nag sulat sa board. This is my Advice to John Emmanuel: As A Friend, just keep studying until you reach your goal, just always pray to God and ask for His assistance to guide you.